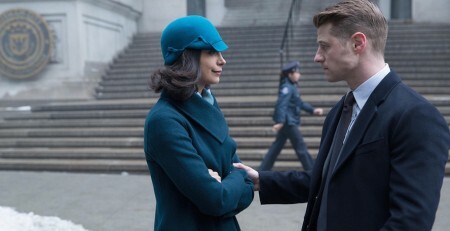 Gotham co-stars Morena Baccarin and Ben McKenzie are making waves, not only as characters on the FOX-based Batman prequel TV series, but also in real-life as lovebirds entangled in an increasingly bitter domestic situation. It was recently revealed that Baccarin is romantically involved with her Gotham co-star Ben McKenzie and they are expecting a child together. According to reports, they plan to marry. Moreover, Baccarin is also in the process of divorcing her first husband, director Austin Chick, and they are at odds over the custody of their 1-year-old son, Julius. As the Gotham co-stars continue to make waves on-screen and off, the details that emerge have fans wondering what the true story is and how long the couple has been romantically involved. Baccarin’s divorce from Chick has become increasingly bitter. According to court documents, Baccarin says she got pregnant with McKenzie’s baby in June 2015, which she claims was after she separated from Chick. However, her soon-to-be ex-husband is singing a different tune. Chick claims the actress was romantically involved with McKenzie and got pregnant while they were still working on their marriage. Chick also filed for divorce in June 2015, so there are many questions still unresolved. Namely, many are wondering how long Gotham co-stars McKenzie and Baccarin have been romantically linked, a revelation which utterly shocked the show’s fanbase. The actors met on the set of the Batman prequel series, which debuted on FOX in 2014. Regardless, it appears Baccarin and McKenzie are planning their future together, moving forward, and making waves in the process. Also stated in her legal documents, the actress speaks of her new, committed relationship with Gotham co-star McKenzie and her plans to re-marry. She is also frank about being 3.5 months pregnant with McKenzie’s child. In an effort to demonstrate how acrimonious her relationship with Chick has become, the actress entered the duo’s text messages into the court record. Sources report that Chick was stunned by the revelation of Baccarin and McKenzie’s affair. Moreover, Baccarin’s soon-to-be ex-husband was blindsided by the baby news. Furthermore, he is attempting to use the information to his advantage in the divorce and custody proceedings. Baccarin, whose full name is Morena Silva de Vaz Setta Baccarin, is a 36-year-old Brazilian-American actress. She has become a familiar face to TV audiences over the years. Baccarin’s breakout role came in the TV series Firefly, where she played Inara Serra in the show and its follow-up film, Serenity. Some of her other well-known roles include the character of Adria in the TV series Stargate SG-1 and its follow-up film Stargate: The Ark of Truth, Anna in the 2009 reboot of the TV series V, and Jessica Brody in the Showtime series, Homeland. This might be her most recognized role, in which she played the beleaguered Marine POW wife to Damian Lewis’ Nicholas Brody for two seasons. Moreover, the part also garnered her an Emmy nomination for Outstanding Supporting Actress in a Drama Series in 2013. Following her successful run on Homeland, she moved onto the recurring role of Dr. Leslie Thompkins in the FOX TV series, Gotham. Baccarin was born in Rio de Janeiro, Brazil, and she speaks Brazilian Portuguese. Her parents are actress Vera Setta and journalist Fernando Baccarin. Her uncle was actor Ivan Setta. Moreover, Baccarin also has Italian ancestry. Her father transferred to New York when she was 10 years old. She was raised in New York City, attended the LaGuardia High School of Music and Performing Arts, as well as the Juilliard School for the Performing Arts, where she studied theatre. During her time at Juilliard, Baccarin appeared on the PBS series American Masters, which focused on the Juilliard School and its students. McKenzie, 37, is an American actor and producer who hails from Austin, TX. He gained fame playing Ryan Atwood in the FOX TV cult hit series, The O.C., from 2003-2007. In 2009, he moved onto playing rookie cop Ben Sherman in the NBC series, Southland. When NBC cancelled the series during its second season, cable network TNT picked up the show and it ran a total of five seasons. Since 2014, McKenzie has starred as James Gordon in the FOX TV series Gotham. Some of the actor’s other notable roles include the 2005 comedy flick, Junebug, with Amy Adams (The Fighter) as well as the Al Pacino drama, 88 Minutes (2007). However, his first lead role in a feature film was in the 2008 indie film, Johnny Got His Gun. 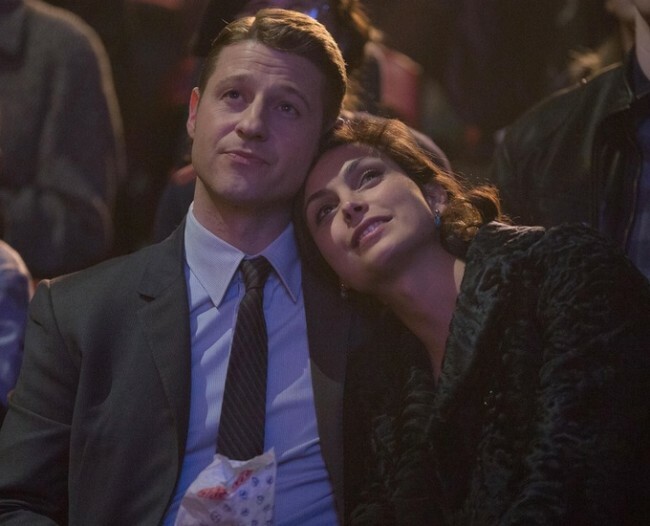 As Gotham co-stars Morena Baccarin and Ben McKenzie are continuing to make waves on-screen and off, fans of the FOX prequel series were shocked to learn about the real-life lovebirds, who are entangled in an increasingly bitter domestic situation. Not only were the fans stunned to learn that Baccarin is romantically involved with her Gotham co-star Ben McKenzie, but many were blindsided by the news they are expecting a child together. This included Baccarin’s estranged husband who claims the actress left him for McKenzie. According to widespread reports and court documents, the Gotham co-stars plan to marry. However, before their happily-ever-after can begin, Baccarin must resolve the bitter divorce and custody proceedings with her estranged husband over their broken marriage. As Gotham co-stars Morena Baccarin and Ben McKenzie continue to make waves on-screen and off, the details that emerge have fans wondering what the true story is and how long the lovebirds have been involved.